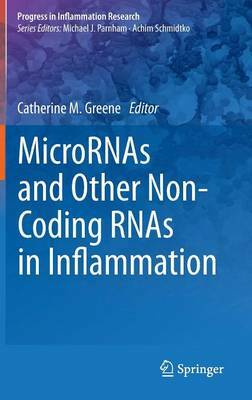 The book serves as a comprehensive resource for scientists and clinicians studying the role of non-coding RNAs in inflammation (viral infections, wound inflammation), human inflammatory diseases (i.e. rheumatoid arthritis, Crohn's disease, diabetes) and innate immunity. It provides a universal reference work comprising both basic and specialized information. Given that ncRNAs represent new therapeutic targets, this volume will also be of interest to industrial biomedical researchers and those involved in drug development.